In further developing 21st Century classrooms and learners, it's vital that we move beyond using technology to enhance teacher-led instruction, but rather as tools to assist student-led discovery. In the Hands of the Students is an ongoing series that explores the benefits that occur when students interact and engage with the technology already found in our classrooms and schools. It's not easy to share one lone classroom computer with an entire classroom full of students. 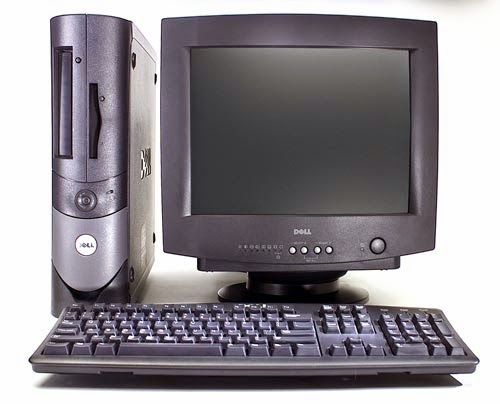 Who can really blame the teacher that uses this computer for creating day plans, quizzes, or even checking email? But when we move the classroom computer into the hands of the students, its true potential becomes unlocked. Below are a few examples on ways to accomplish this transition. If we take on the responsibility of developing Digital Citizenship within our students, then we must support them in developing effective research skills. Students need to be able to search for, recognize, and make use of reputable web resources when conducting research online. Once we are confident that students can research in this capacity, the classroom computer becomes a valuable tool that students can make use of on an as-needed basis, much like the classroom dictionary! Ideally, students should be free to use the computer for research purposes as needs arise. This requires some trust on the part of the teacher that students will use the computer in a safe and meaningful manner without direct supervision or instruction. Teachers need to be clear on expectations of use before allowing independent and student-directed use of the computer. There are an abundance of meaningful ways that social media can be used in the classroom. One such way is to use tools such as Twitter and blogs to connect with others within the school/local community and beyond. We've written previously about how Twitter can become the walls and halls of the 21st Century Classroom. If students are able to share the results of their learning experiences with others outside the walls of the classroom and school then perhaps they will become motivated to achieve more. Better yet, connections with the outside world may encourage students to become more involved with real-world learning (as will be discussed further below). A single classroom computer is all that is needed for students to make these connections under the careful supervision and facilitation of the classroom teacher. The single classroom computer can be used to support and extend many learning experiences across the curriculum thanks to the vast selection of available digital media, online tools, and applications. These meaningful, and often free, tools are just a Google search away! I recommend exploring Pinterest for a huge selection of carefully curated by like-minded teachers (looking for a place to begin within Pinterest? Check out Inquire and Inspire's collection of valuable resources! ). If you are creating small groups based on common needs and strengths, the classroom computer can be used to support students in collaborative settings. Hopefully, if other centres are simultaneously occurring, an opportunity is created for the teacher to meet with other small groups and provide intensive and differentiated instruction. In my class there are a handful of students who would happily spend the entire day on technology, if allowed. Interestingly, my at-risk students often to fall into this category. With some of these students, the promise of 5 to 10 minutes of "free tech time" is enough to motivate them to complete a task. It's important to discuss expectations before making an arrangement like this, so that the outcome is meaningful and the student demonstrates an appropriate level of achievement. Google is in on virtual field trip game too. Check out Connected Classrooms for more ways to make meaningful real-world connections via the classroom computer. All that is required to begin is a webcam and an internet connection. Because students will be interacting with others in an online setting, I'd recommend notifying parents and seeking permission prior to using such services.